With all the activity following the crossing of Cyclone Yasi Wednesday night, the opening of Barra season is pretty low on most peoples priority list. And rightly so, most of us are quite busy cleaning up around our homes. But I think its important that we take a bit of time out for ourselves too. Dad and I had our first fish for the season yesterday. First off we met Dave at the Lakes to throw some lures for an hour or two at first light. 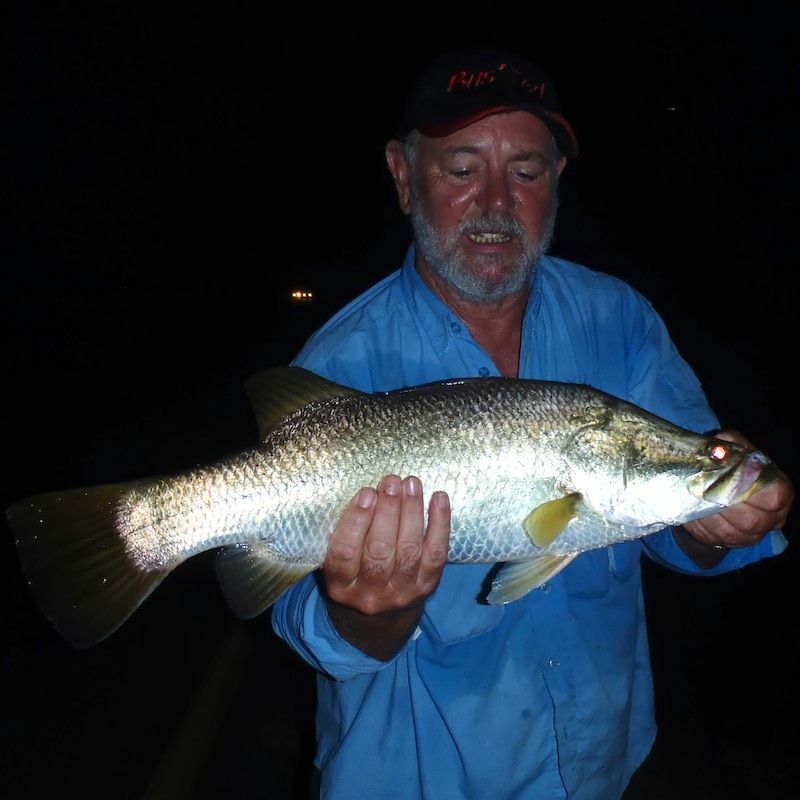 It was pretty quiet, with mainly small Barramundi hunting bait in the flooded grass. 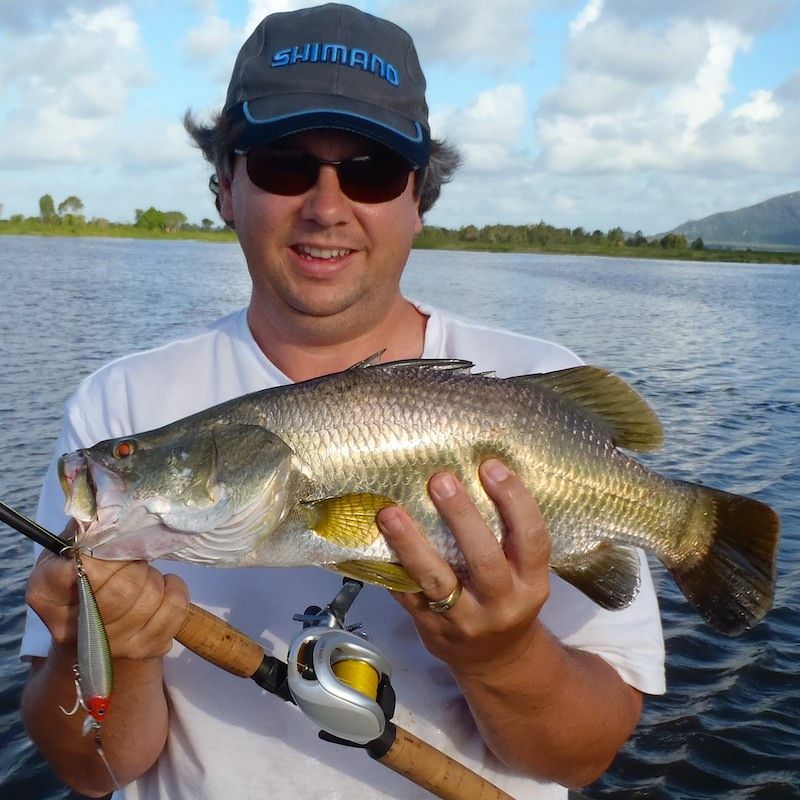 Dave managed his first Barra of the season, at 35cm it was not much to get excited about. I threw one at my feet about the same size. 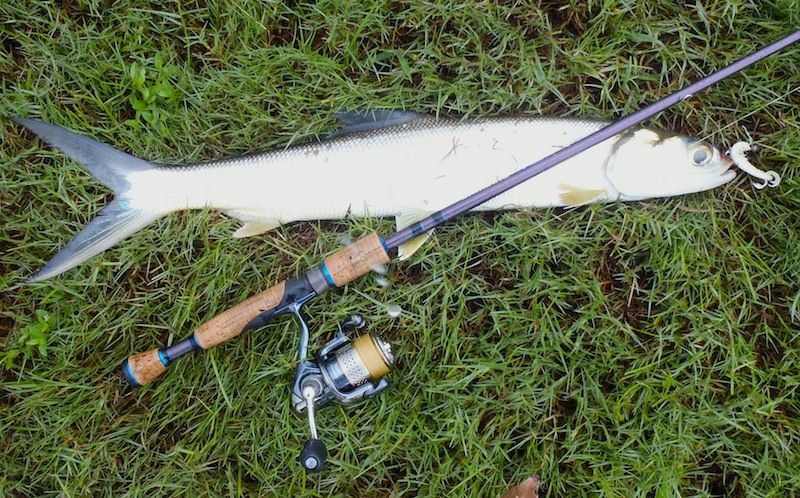 Best fish of the morning was a nice Giant Herring that took my white 3in prong in a drain. Those things sure do run hard for their size. With lots still to do we finished at 8.30am and headed home. Dad and I then ventured out again that afternoon to look at some flood waters further South. But despite driving a considerable number of km's we found little in the way of fishable water. Most of our spots were either still too flooded or had trees over the roads blocking access in. But we did find one spot that turned on a little action for us right on sunset. I caught a few Barra in the 50's and Dad managed a nice one about 62cm. They mainly fell to fizzers fished in the fading light.